This is the ethos and driving force behind London perfumer Sarah McCartney’s artisanal fragrance house 4160 Tuesdays. From studying maths, McCartney took a life-swerve and became the head writer at Lush for 14 years. Now free to concoct her own masterpieces, her colourful studio in Shepherds Bush gleams with thousands of mysteriously labelled bottles on reclaimed school tables and the wall of vintage perfumes that makes up McCartney’s private collection. We spoke to McCartney about her unique fragrances and, below, select our favourite five scents from the range. What excites you most about creating a fragrance? I enjoy the anticipation of sitting down at my materials cabinet and mixing. I rarely start there. I start with an idea, then I stir it around in my head for a long time until it’s ready to go into a beaker. I get excited about everything. I’m a complete scent nerd, a kid in a toyshop. The absolute opposite of passive coolness. These days it can take months for me to find the time to start a new blend, so planning, twirling ideas about until they settle, and knowing that one day I’ll get cracking with it. Your perfumes often have such personal inspirations – how do you feel about releasing them into the world? I don’t mind one bit. In fact I’m disappointed when someone wants to keep a scent private. The ideas can be personal but once they exist I’m ready to set them free. The Lion Cupboard is probably the most intimate – the scent of the Victorian carved dresser where my dad kept his hats, scarves and gloves – but I’d like other people to share it. How do people unused to niche perfumes react to yours? They say, “Is that really perfume? It doesn’t smell like perfume.” But I would start them off with Says Alice or Invisible Ben – scents which do smell more like mainstream fragrances. I’d be unlikely to sock the innocent olfactory explorer with Time to Draw the Raffle Numbers or What I Did On My Holidays first. Unless I think they can take it. What’s the most challenging custom perfume you’ve had to create? I made one for Odette Toilette (purveyor of olfactory adventures at Scratch & Sniff events) who is lovely in every way, and really knows her stuff. I like it so much I’m wearing it today. The challenge was not to disappoint her. The brief was four words which completely nailed what she wanted and which I understood perfectly. There was no room for error. For the first run I used a new natural material and the darned thing separated out. I thought it had dissolved but it was only an emulsion – like the oil and vinegar separating in a home-made salad dressing – so she got this massive slap of peaches in the first squirt. So embarrassing. 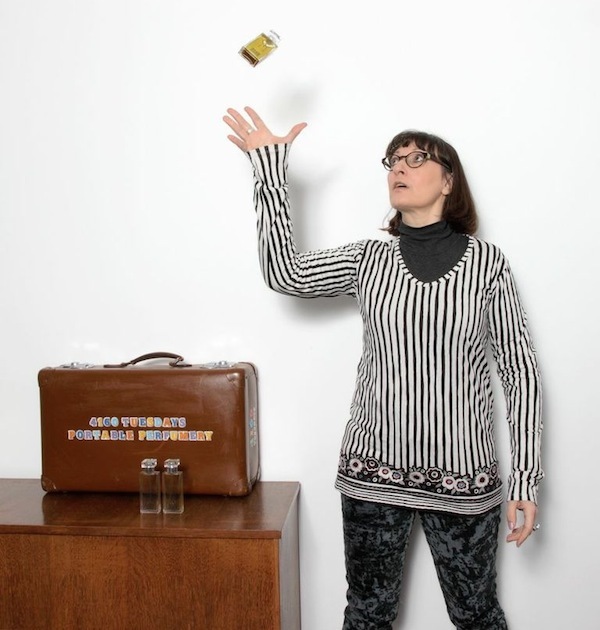 I went back and made four versions (mods – in local perfume dialect) and we both loved A, although my assistant Agnieszka’s loved D and is currently using it up. Nothing goes to waste. Then I discovered the naughty material dissolves in citrus essential oils so I’m currently planning a project for it. 1. A Kiss By the Fireside: Smoked rose and lavender deliciously entwined with biscuits and herbs. A cosy snog in fragrance form. 3. The Sexiest Scent on the Planet Ever (IMHO): Gin botanicals, creamy vanilla, citrus and musk. Softly boozy snuggles that more than live up to their claim. 4. Urura’s Tokyo Cafe: Raspberry leaf, violet, grapefruit and roses with a resinous opoponax base. Cherry blossoms, clean linen and freshly made jam while trimming topiary. 5. Sunshine and Pancakes: Jasmine, lemon, honey and cedarwood. Celebrating the simple pleasures in life: warm skin and contented smiles from a day at Camber Sands. 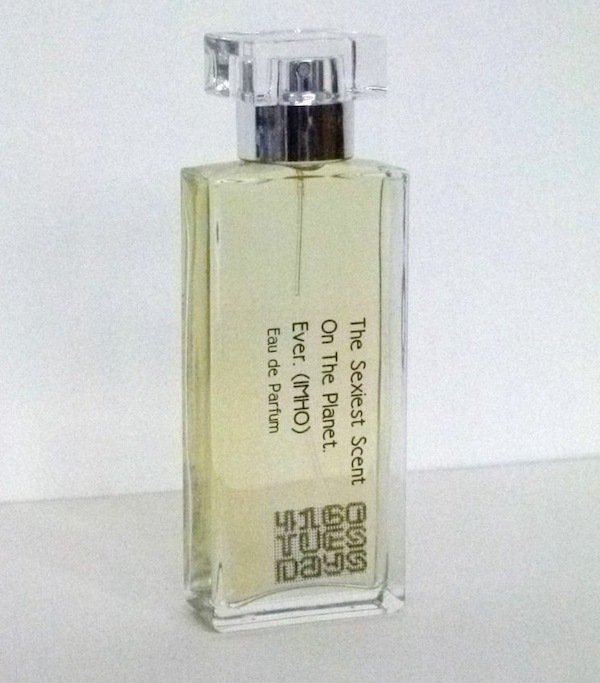 4160 Tuesdays fragrances are priced from £40 for 30ml with sample sizes and taster sets available for the timid of nose. 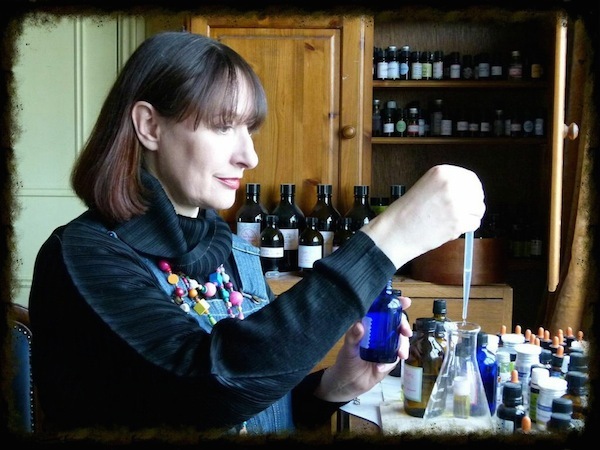 Sarah also runs whole day themed workshops where you can learn more about the art of perfumery and leave with a bottle of your very own one-off creation. Who wants to smell like other people, anyway?